You will not go cold, but you will look very cool. 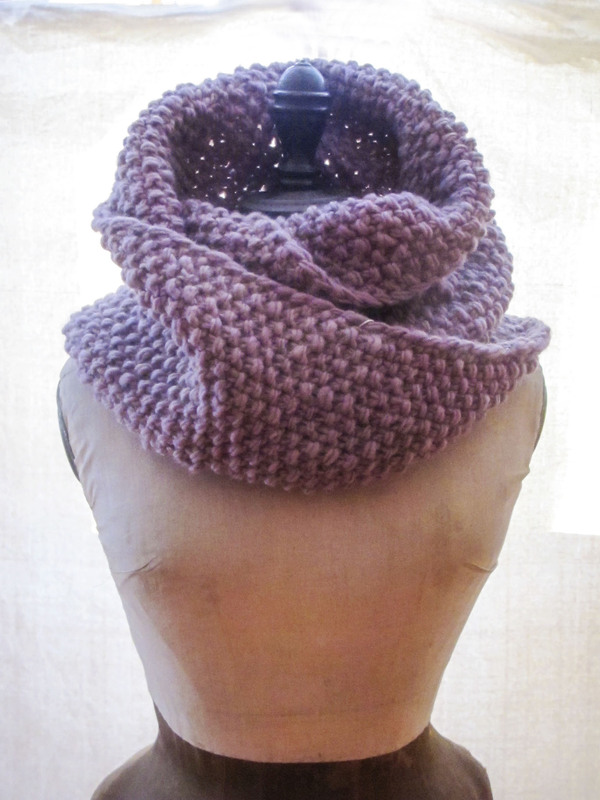 Enjoy this generous mobius style chunky cowl, knit in a fair trade earth friendly wool. Striking lavender color. 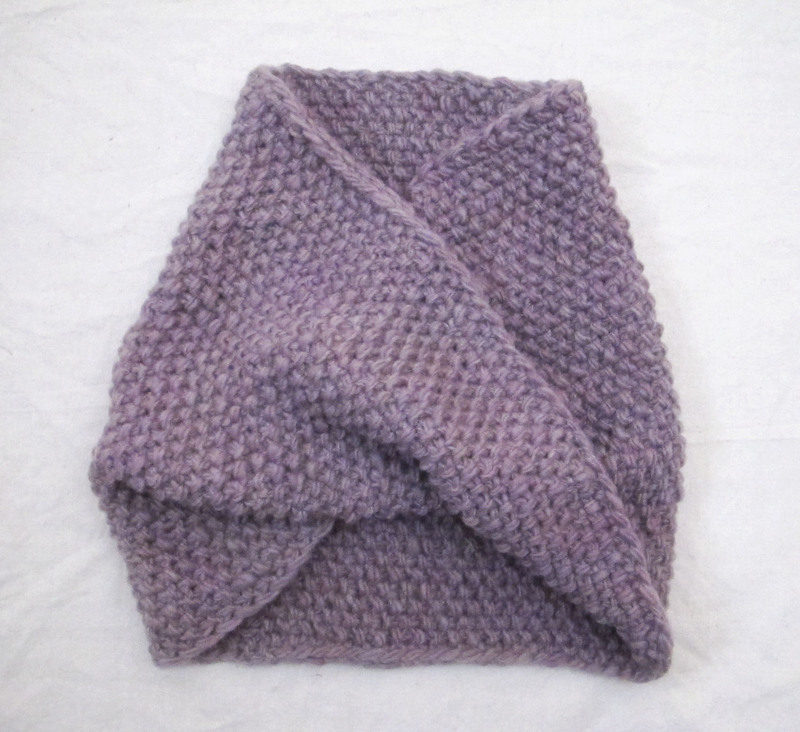 Measures about 17″ wide and 30″ long before being joined in the mobius. You can even pull it down over your shoulders as a shrug. That’s what I do with mine.